Wright Centennial Museum in Wright, Wyoming, featuring the history of Wyoming and the coal and energy industry. Don't just drive across Wyoming…come explore with us! The Wright Centennial Museum provides a unique opportunity to witness Wyoming history spanning from the homestead era to the beginning steps of Wyoming becoming the nation's Energy Capitol! A dedicated group of volunteers has compiled an impressive collection, laced with local legends and lore. 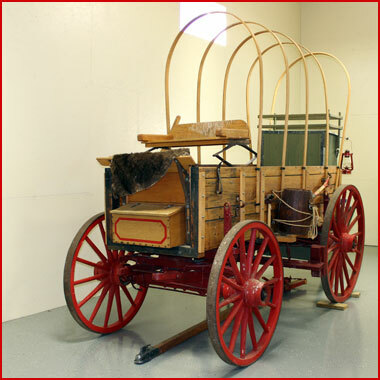 From the kitchen and cook stove of pioneer women to the cowboy's kitchen on the range, the chuckwagon, the museum delivers an interactive opportunity to visualize the stories of Wright and Wyoming's making. A knowledgeable team is on hand to answer questions and loves to share the fun tales that accompany many of the museum pieces. Fittingly, the Wright Centennial Museum opened in July 1990 on the same day the Cowboy State celebrated its centennial. ©Wright Centennial Museum. All rights reserved. Website design by Sagebrush Marketing and Wyoming Network, Inc.